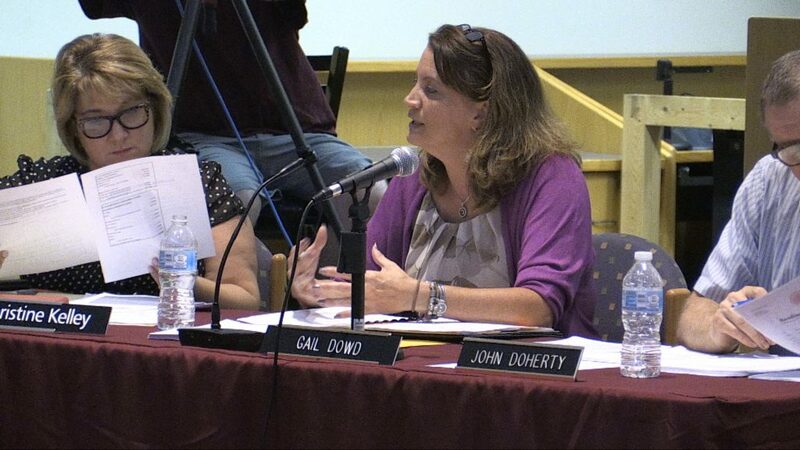 Carolyn Wilson, Reading Public Schools (RPS) Director of Student Services, announced her resignation at the August 8 meeting of the school committee. Wilson, who has held the position for four years, said that her date of resignation was not yet confirmed and assured the committee that she would be working to ensure a smooth transition to new leadership. According to a message earlier in the day from the RPS, Wilson is leaving to “pursue a career opportunity in working as an attorney representing public school districts.” Superintendent John Doherty shared that he was working on a transition plan that would likely involve an interim for a year. “It is not a good time for a search,” Doherty explained. The originally scheduled committee reorganization for the coming year was postponed as two members of the committee, Nicholas Boivin and Sherri VandenAkker were not present for the meeting. The reorganization will happen when the full committee can be in attendance. The school committee reviewed and voted 4-0 to approve the Fiscal Year 2019 RPS budget of $44,860,275 as approved by town meeting in April. This budget includes the additional $2,137,250 in funding provided by the override. The committee also approved, by a vote of 4-0, a capital plan budget of $850,000. Director of Facilities Joe Huggins will be updating the committee on school building maintenance plans for the upcoming year at the August 30 meeting. Doherty gave an update regarding expected enrollment for the coming school year. He reported that currently, all class sizes at the elementary level are within school committee guidelines. He reported that all siblings accessing full-day kindergarten will be attending their neighborhood schools and that all provisions from the discussions last March on the issue are being followed. Doherty also reported that enrollment at Reading Memorial High School (RMHS) and the middle schools is “in fairly good shape.” A more detailed enrollment report will be given once the school year begins. 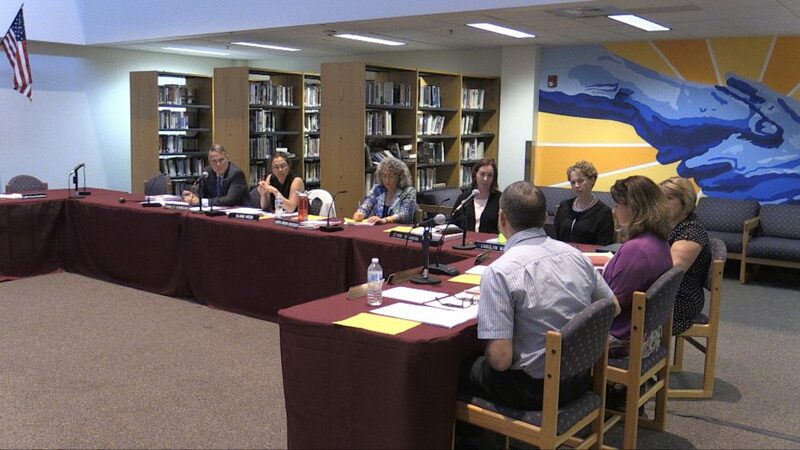 The committee voted 4-0 to buy back up to $5,500 in vacation time from Doherty as a one-time non-precedent setting gesture due to the extra time and effort needed to be expended by the superintendent in the past year. Chair Chuck Robinson shared that the idea was discussed and voted on by the entire committee in executive session on June 4, but needed final approval in regular session. Although there is no buy-back mechanism in RPS contracts, the committee cited the creation of multiple budgets, loss of the assistant superintendent part way through the year, and the extraordinary number of nighttime meetings required during the past year as reasons for the measure. The buy-back reflects seven and eight-tenths days of the 15 vacation days Doherty was unable to take. School Committee member Elaine Webb emphasized that this was a “one-time, non-precedent setting” choice the committee made. Kathleen Boynton, new RMHS principal, gave a presentation regarding updates to the RMHS handbook. Although most changes are minor, the handbook does outline a new bell schedule which Boynton believes will “normalize” the routine at the school. Boynton also shared some new formatting in the section about substance abuse, though was quick to point out that there are no policy changes from the previous handbook. Boynton also updated the committee regarding the accreditation process for the high school, noting that school visits would begin this year. The process will not be complete until 2020. She also shared about a working group to study the idea of a later start time for the high school, possibly to be implemented for the 2019-2020 school year. Half of the the schools in the Middlesex League have already adopted later start times. The committee had a first reading of its revised school safety policy as well as its revised policy on student use of alcohol, tobacco, and drugs. 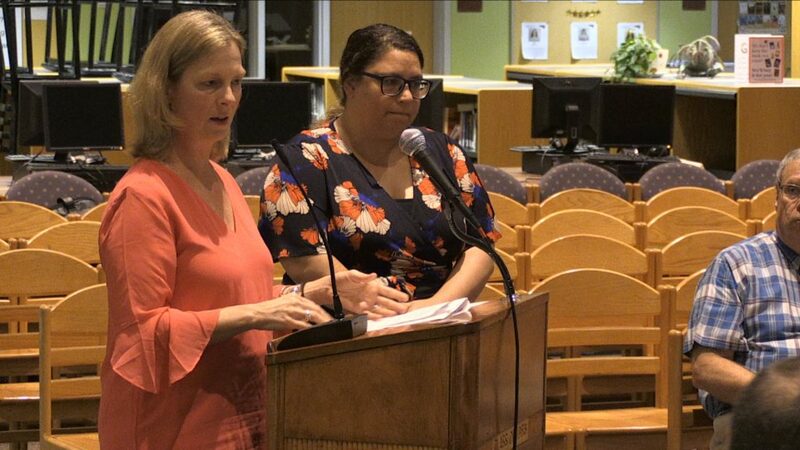 Webb reported that the school committee was shifting its meeting night to Thursdays for the coming year to allow staff to more easily prepare for meetings and that regular school committee meetings will now be held in the Schettini Library at RMHS. The school committee adjourned to executive session at 8:05 pm.